My husband says that I don't have spare time because I have a habit of creating projects! He's definitely right. 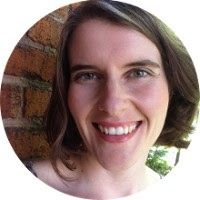 My free time is filled with things like crafting, cooking, gardening, fermenting, and running a side business. All in addition to my full time job as a librarian! But what is life for if not to learn new things? Something I'd always wanted to learn is basic graphic design. 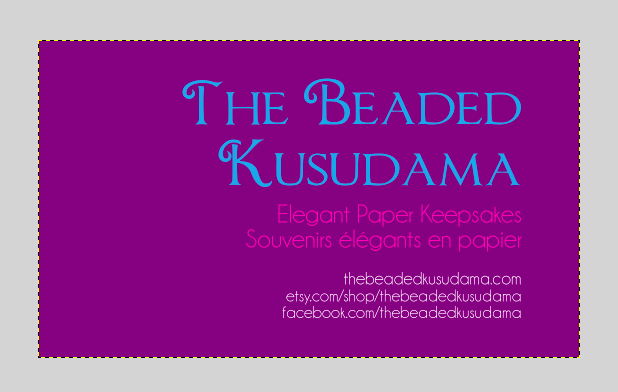 Not to do it for a living or anything, but so that I could make stationery, invitations, and other pretty things. 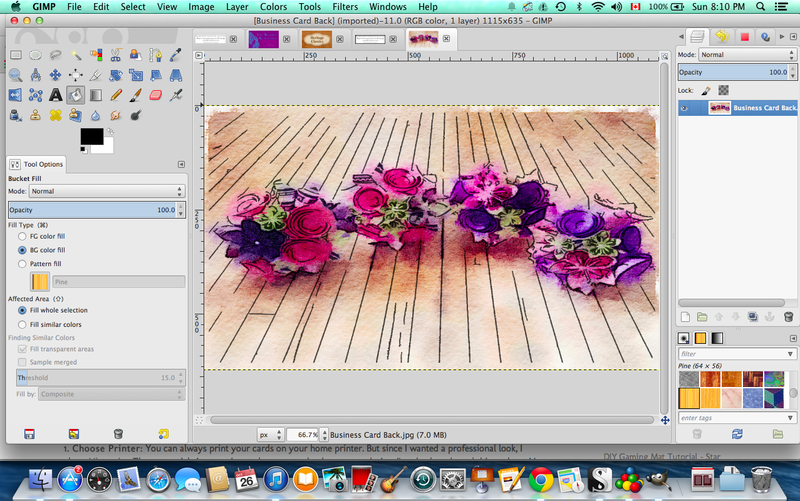 During wedding planning, I realized that I didn't know how to create the wedding invitations I was imagining. I was very disappointed. 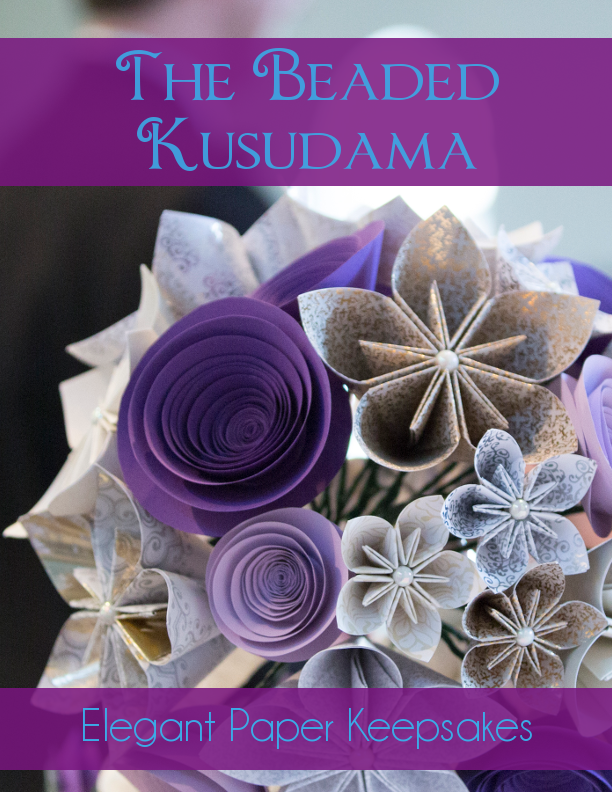 So when I started The Beaded Kusudama, I knew it was time to buckle down and learn. 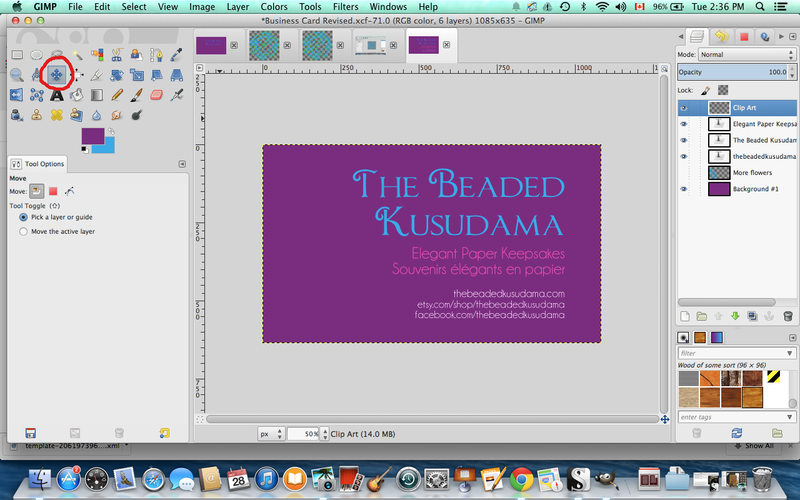 My first self-assigned project was to create my own business card. 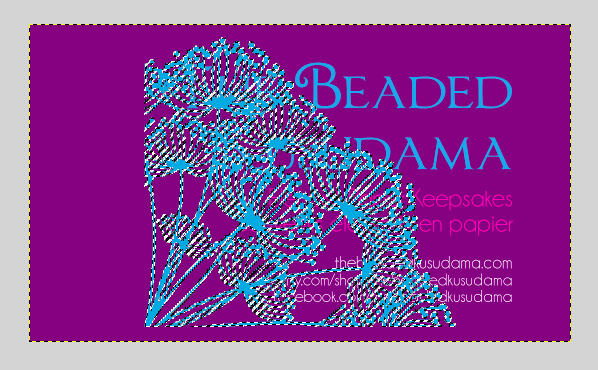 To make this card, I used GIMP, an open source graphics editor. It definitely does not do everything that Photoshop does, and it's finicky. But it's free, and so far I have been able to accomplish everything that I've wanted to do. Maybe someday I'll shell out for Photoshop, but until then, GIMP suits me fine. 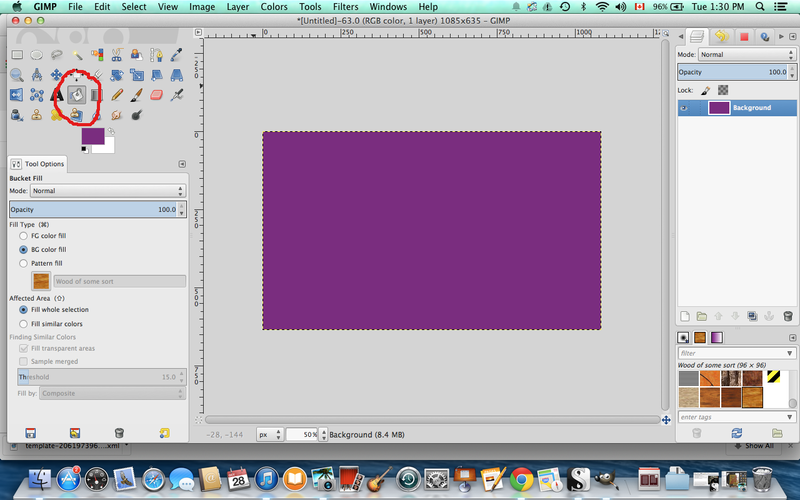 There are many tutorials online about making simple business cards with GIMP. 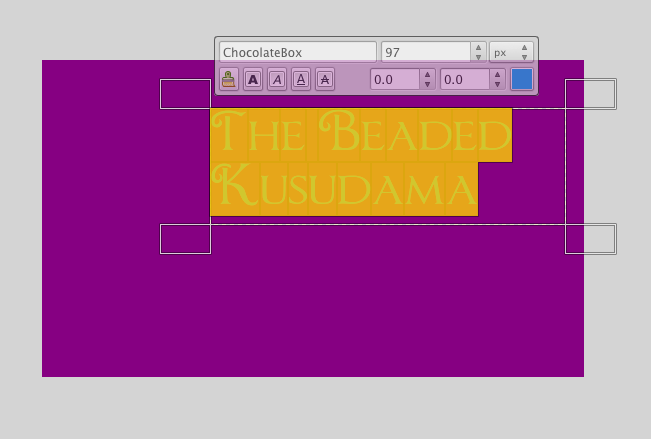 My tutorial will be more complicated, so I've divided it into two parts. Part One describes my artistic process, and Part Two describes the technical aspect of using GIMP. 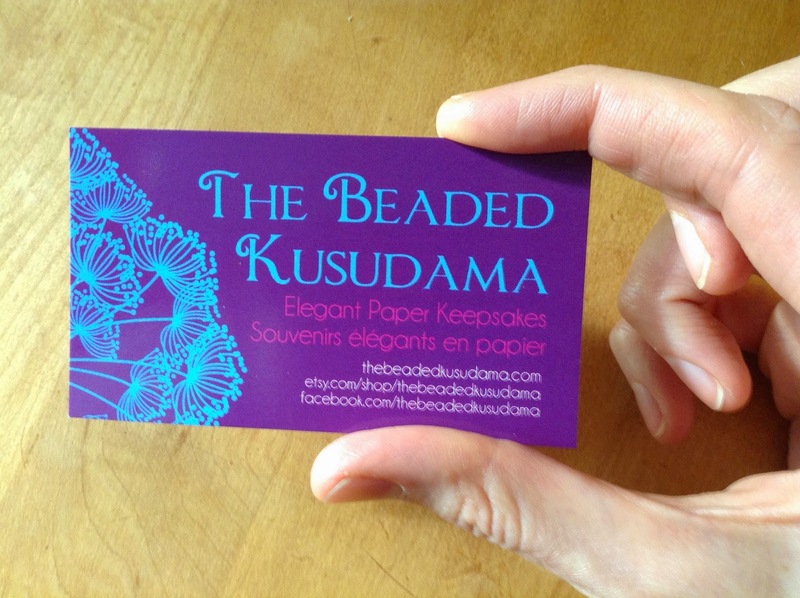 My goal was to have my card look as if I'd hired a professional to do it. If that's what you're going for, then this is the tutorial for you! By the way, you can also use these instructions to create website headers, Etsy banners, flyers -- any promotional material you want. And you don't necessarily have to follow the steps below exactly as I've listed them. You may find yourself playing with colours, fonts, and images all at once. The creative process can't always be predicted! For my brother, I wanted to highlight the fine materials he uses as well as his craftsmanship. I used a wooden background with a simple frame and a traditional font. The colours are masculine: beiges, browns, and greys. One glance will tell the customer exactly what my brother does, even though there's no information on the front other than his business name. 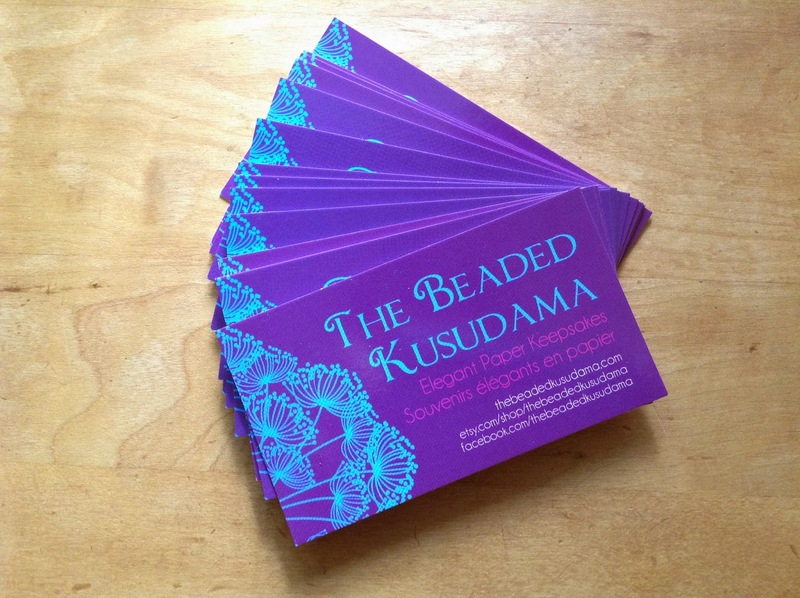 For my own card, I wanted to evoke the bold colours of my paper flowers. 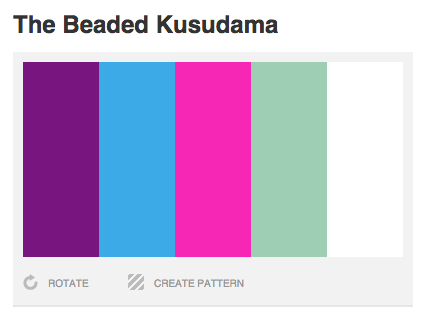 I chose purple for its elegance, and the turquoise blue because it contrasts so nicely. The image of the Queen Anne's Lace that I use is very stylized, just as my flowers are stylized. The font I used for the business name is unusual but old-fashioned. All of these together evoke a sense of richness and fine quality. What impression are you trying to create? Once you've figured that out, you'll have a better idea of what sorts of colours, fonts, and images you'll want to use. Once you have worked out which colours you'd like to use, sign up on the website and save your palette. That way you have a backup, and you can make sure that your colours are always consistent. When you scroll down below the palette, you will see each colour laid out individually, along with their hexadecimal numbers. 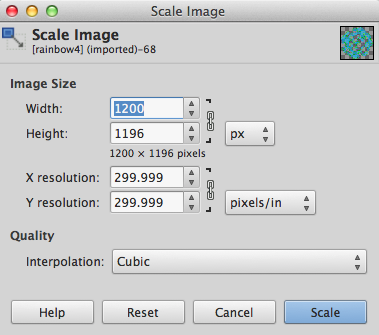 Keep this open as you work in GIMP, as you will need to refer to these numbers to use your chosen colours. 3. Choose Your Fonts: This step is just as much fun as choosing colours. Think again about the impression you want to create. Are you going for airy and bright? Dark and mysterious? Whatever font you choose, make sure that you have the legal right to use it! Since you're making a business card, you need a font that can be used commercially. As much as I love Dafont, sometimes you have to buy commercial licenses to use its fonts. I prefer to bypass this issue entirely by getting my fonts at FontSquirrel, all of which are 100% free for commercial use. 4. Choose your Clip Art: This step is optional. If you just want a blank background with simple lettering, that might be all you need. But I've found that buying some beautiful clip art takes your cards to the next level. There are all kinds available on Etsy. For my brother's card, I bought both the digital wooden panel and the vintage frame from GRFElements, and the Queen Anne's Lace graphic that I used for my own card came from PinkPueblo. Again, make sure you use clip art that is licensed for commercial use! If you purchase digital art on Etsy, the artist will always state in the description whether their piece can be used for this purpose. Once you've got your stuff together, you can start actually making the card! Finally! Let's open GIMP up. 1. Choose Printer: You can always print your cards on your home printer. But since I wanted a professional look, I chose Vistaprint. They are quick, inexpensive, and you can upload your own design. I've also heard good things about Moo, though I've never used it myself. 2. Get Dimensions: Consult Vistaprint's Resources for Uploads to find the dimensions for your project. For standard business cards, Vistaprint's dimensions are 1085 by 635 pixels (92 by 54mm). Here we want "Full Bleed Size," as that will ensure that your chosen colour goes all the way to the edge of the cards. 3. 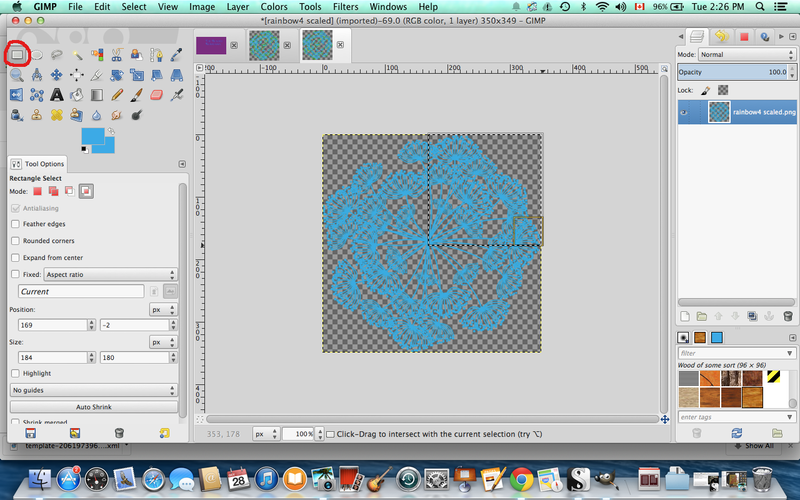 Create GIMP File: Open GIMP. Click "File," then "New." 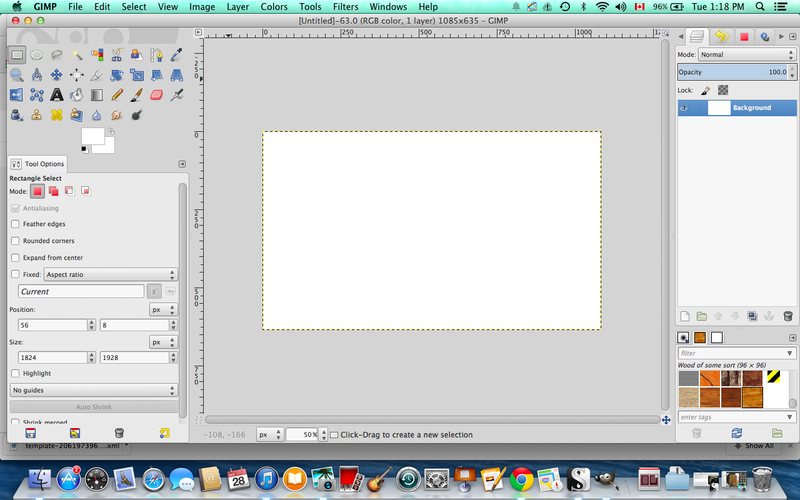 GIMP will prompt you to enter the project dimensions. 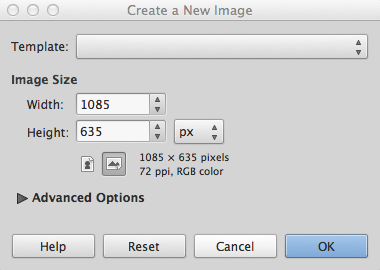 Enter the width and height specified by your printer, in this case, 1085 by 635 pixels, and click OK.
4. 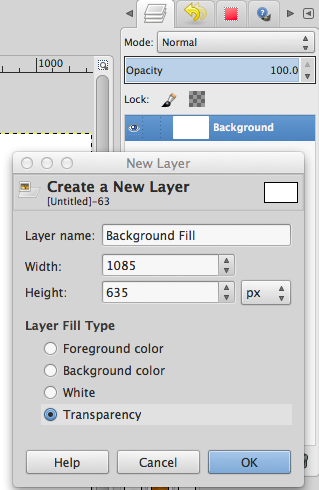 Create New Layer: If you look at the menu on the right, you should also see a box that lists your layers. Right click on it and select New Layer. You can name it whatever you'd like. I'll name mine Background Fill. 5. Change Foreground Colour: On the left side of the screen, click on the colour box. This will bring up the Change Foreground Color menu. 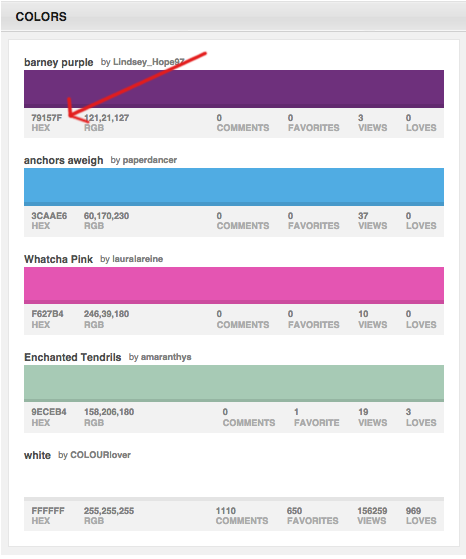 Now you'll need your ColourLovers palette. Take a look at the hex code of the colour you want for your background. Mine is #79157f. 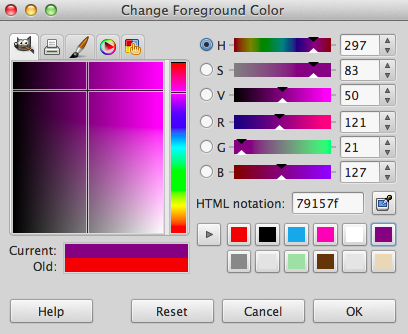 Copy that number, and paste it into the Change Foreground Color menu. Click OK.
Voilá! That colour is now available for you to use. 6. Create Bucket Fill: Select the Bucket Fill Tool, then click on your image. It will instantly fill with your chosen colour. 7. Add Typography: Repeating Step #4, create another new layer. Mine is called Business Title. Repeat Step #5 to choose the colour you want to use for your typography. Then, click on the Text Tool icon in the left menu. Choose your font and colour. Note: If you wish to use more than one font or colour, as I've done, you will need to create new layers and text boxes each time, changing the fonts and colours as you go. IMPORTANT: Make sure that you leave ample space between your text and the edge of your card so that it doesn't get cut off in the printing process. 8. Add the Clip Art: This is the tricky part. Sizing the clip art properly takes some guessing and a lot of trial and error. 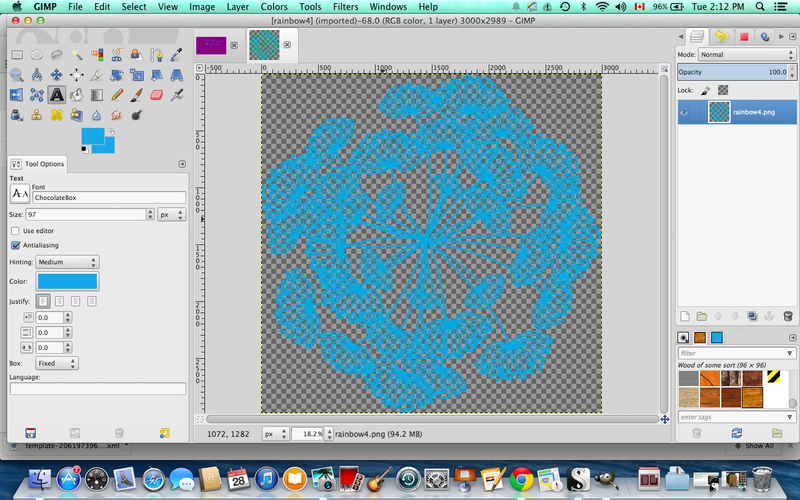 Start by opening the clip art file you wish to use in another GIMP tab. The background is checkered grey to indicate that it is transparent. 10. 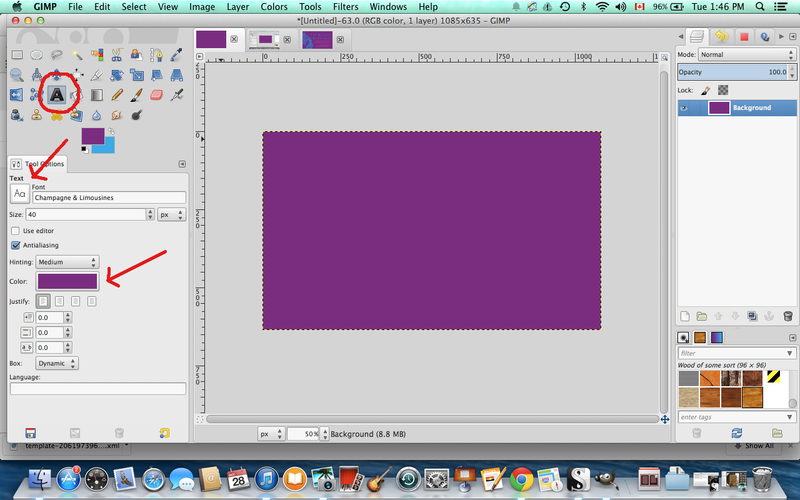 Select the Part of the Image that You Wish to Use: Using the Rectangle Select Tool, drag your cursor over the area that you wish to use. Then click Edit and Copy from the dropdown menu. 11. 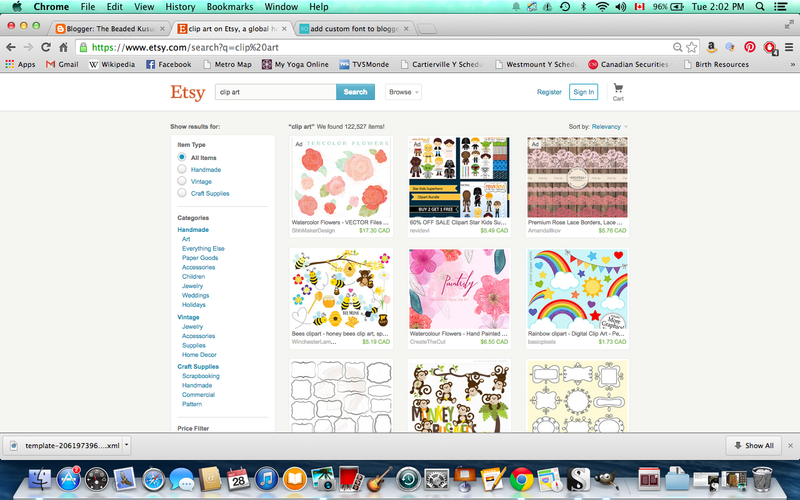 Paste the Clip Art: Switch back to your business card tab. Create another new layer. I'll call mine Clip Art. Click on the Move Tool. Click Edit and Paste. The clip art should appear smack in the centre of your card, like this. The black and white lines around it indicate that the image is highlighted in GIMP. With your cursor, click on the clip art and drag it to where you want it. There you go! 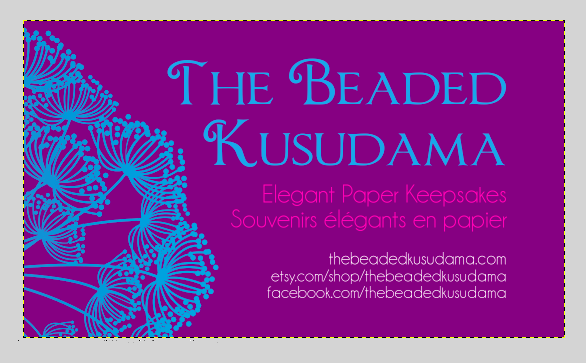 The business card is finished! 12. Save Your File: Click File, then Save. 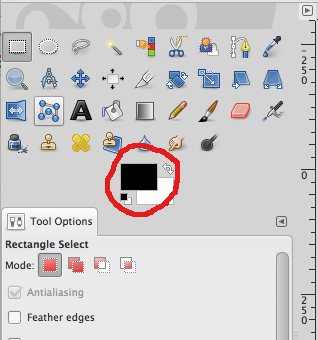 GIMP files save under the extension .xcf. I like to save a version in this format so that I can go back and make edits later if I want to. 13. Export Your File: Before you upload your file to Vistaprint or use it online, you will need to export the file to a different extension. 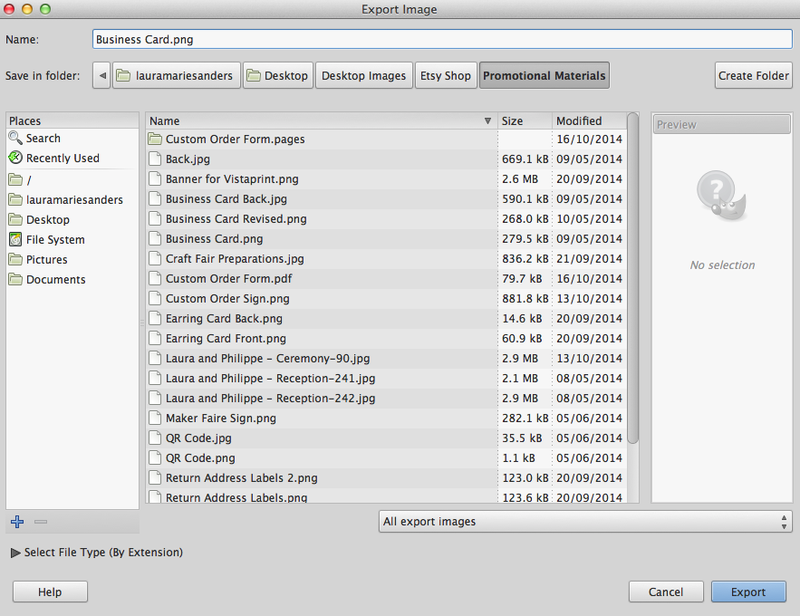 JPG is better if you are planning to use it online, but for an actual business card, you will want to export it to the higher quality format PNG. To do this, click File, Export As, and simply type the file name along with the extension you wish to use. 14. Upload Your Design to Vistaprint: Go to the Vistaprint website, follow their instructions for uploading the design, and wait for your business cards to arrive! I hope this tutorial was useful to you! 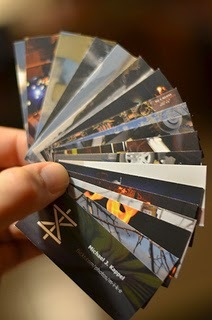 Feel free to leave a comment to show me the business cards or other promotional materials you've created. Happy designing!